Google Gravity + The Top 20 Google Tricks and Easter Eggs. Here it is, the ultimate Top 20 Google tricks list! If you have been using Google search for any longer period, you probably have come across one or more of the fun “Easter Eggs”, that the company incorporates in their search engine. For no other reason than your amusement, we have compiled a list of the Top 20 most popular “secret” Google tricks out there. The Google Easter Eggs list include: Google Underwater, Google Gravity, Pac Man, Google Space, Tilt/Askew, “Do a Barrel Roll”, the Zerg Rush, Google Mirror and other goodies. Search for “Google gravity” in the Google search box and click “I am feeling lucky”. Do not press enter key or search button, if you do then it will just show you the search result. See your world come tumbling down. You will still be able to search normally in the search bar after Google Gravity activates. If it does not work then go to www.google.com/preferences and turn of instant result, and try again. You can also search for “Google Anti Gravity” or “Google space” and click “I’m feeling lucky” for a floating experience. 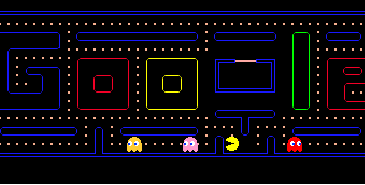 If you love PacMan, the game, then Google has a surprise for you. Simply write “PacMan” in search and press play. Love it! The search engine also had a temporary Pacman game on Google Maps for April Fools Day in 2015, but there are no plans to bring it back on GoogleMaps. You can turn the sound off by pressing the Sound Button on the left side. 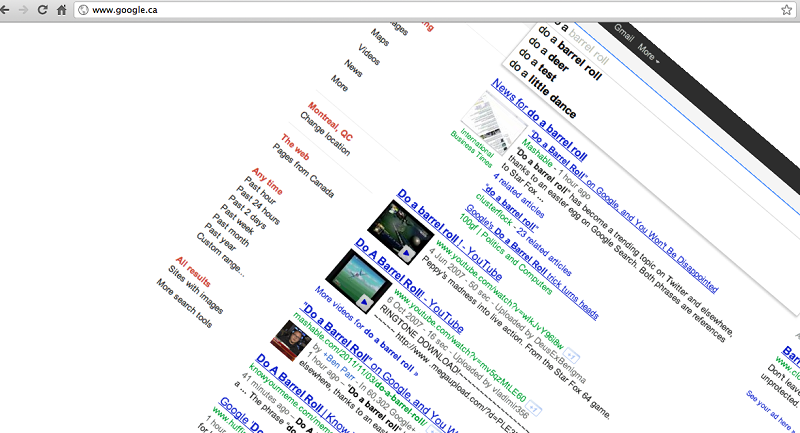 Write: “Do a barrel roll”, in the google search engine and see what happens. It also works, if you write “z or r twice”. Google “Zerg Rush” in the search bar and watch. This term comes from a video game called Starcraft, which had a tactic, where you are able to mass produce zerg units and rushing them. 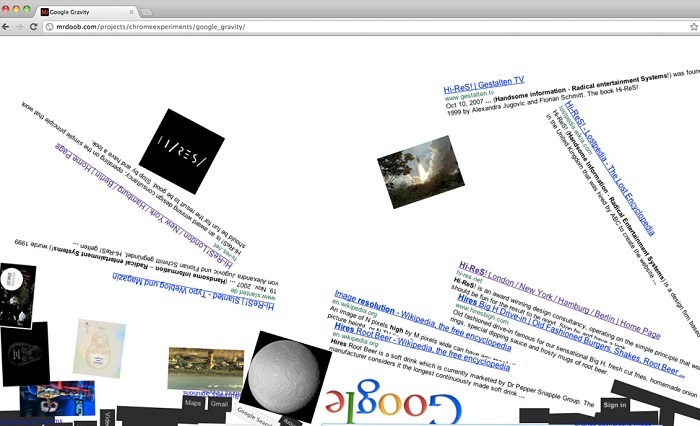 Similar cool trick to Google Gravity or Mirror. Search for Google Underwater in the Google search box and click on “I am feeling lucky”. Do not press enter key or search button. You can now search with a cool underwater background. Mind the ads, though. Fun function similar to Google Underwater and Gravity. This one will make everything appear backwards. Search for Google Mirror in the Google search box and click on “I am feeling lucky”. Do not press enter key or search button. The numerous ads takes away from the experience, though. Type “Awesome” during any video and the progress bar will start flashing in rainbow colors. Youtube used to have an inbuilt Snake game too, when pressing Left Arrow after pausing, but it seems to have been discontinued. Write “askew” in the Google search bar. Nifty little trick. 9. Google “once in a blue moon” in search. How often does the world experience a blue moon? Search for “once in a blue moon” and the calculator will tell you. 10. Search for nothing and you get Google Doodles. What do you get, if you don’t search for anything, and simply press ‘I’m feeling lucky’ on the search screen? You will get a list of all the Google Doodles, special search screens, from all the way back to 1998. 11. Google “anagram” in search. 12. Answer to life the universe and everything. Enter: “Answer to life the universe and everything”, in the search box on and Google will politely tell you. The answer, of course, is “42” and is a reference to “The Hitchhikers Guide to the Galaxy”. 13. Google Pirates Search, Hacker, Pig Latin and Muppets Chef search. You can search like a pirate , a hacker , with Pig Latin , in Klingon or as the Swedish muppet chef in Google search. 14. Google Atari Breakout Game. Type “Atari Breakout” in Google Images and you can play this cool game. 15. Type <blink> in the search box. Type <blink>, exactly like that, and guess what happens. Yes, there will be blinking involved. Type “Google in 1998” in the search box and you can see the search engine as it used to look in the old days. 17. Are we there yet on Google Maps. Repeating the “Are we there yet?” question annoys the Google Maps app on Android so mcuh that it’ll simply answer “No.” Keep asking the question and the Google Maps app will answer with: “If you ask me again, we won’t stop for ice cream” . Type Google Guitar and then press “i’m feeling lucky”. You can now play a little tune on the Google Guitar, if you so wish. Type Google Sphere and then press “i’m feeling lucky”. The search screen turns into an interactive turning globe. Kerning means the spacing between letters in a word. When you do a simply search for kerning, Google changes (increases) the space between letters in the word ‘kerning’ in all the search description results. it is subtle, but check it out. Other Google Search Tricks and Easter Eggs. Search for the “number of horns on a unicorn” or “the loneliest number.” Same answer: 1. Open Google Earth, go to [Tools] –> [Enter Flight Simulator] to use the Flight Simulator. Still haven’t had enough? Here are some other cool search phrases to to try. Many of these are technically Google’s own Easter Eggs, but will redirect you to a funny Google-related link. Type the phrase in Google.com and follow it with a click on “I’m feeling Lucky“. “google gulp” a search on this will get to google autodrink of gulp drinks.